Sophisticated Latin-Asian fusion restaurants, delicious Italian and Indian eateries, authentic Mexican cuisine and bona fide southern American food are some of the many dining options in Richmond for students. Following an exhaustive day of choir, band and dance rehearsals or performances, students and directors deserve to relax with a tasty meal. In the process of organizing a student trip, it is vital to make transportation and housing plans, schedule tours and make dining arrangements. Also, it is vital to make sure that your chosen restaurants accommodate different diets and group sizes. Fortunately, we have taken a look at several restaurants that are perfect meet your students’ needs. Therefore, here are our top five choices for dining options in Richmond for students. 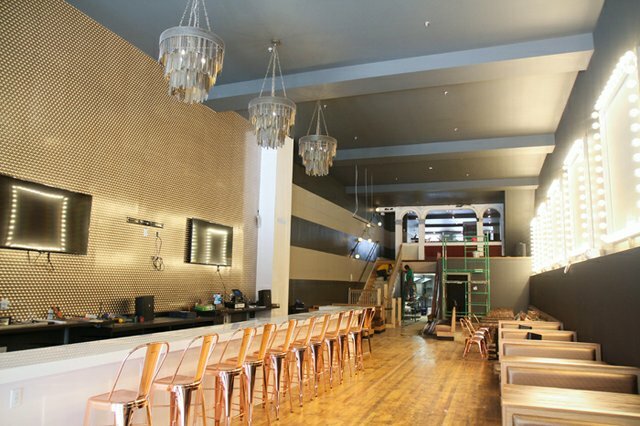 Hutch Bar and Eatery. Credit. If you’re hoping to experience the fine, authentic dining of the Deep South, then Hutch Bar and Eatery located 20 minutes from downtown Richmond is the choice for you. Owners Jessica and Josh Bufford have worked with their team to build a restaurant that promises to provide Southern favorites made with the freshest ingredients. A comfortable and casual atmosphere guarantees a fun dining experience for individuals of all ages, and Hutch’s inventive menu accommodates those who are vegetarian and gluten-free. The restaurant provides a kids, brunch and lunch/dinner menu, and some items on the lunch/dinner menu include the baja rockfish tacos, bacon cheeseburger mac, southern fried chicken salad and the Louisiana lobster roll. Vegetarian and gluten-free dishes also make the menu accessible for those with dietary restrictions. Inexpensive options make this eatery a prime choice for students, and reservations for all group sizes are available, and outdoor seating is also an option. Located in the Museum District just eight minutes away from downtown Richmond, Stuzzi offers a wide array of Italian choices that will be sure to impress all customers. Stuzzi boasts of its famous Neapolitan pizza, which comes fresh from the wood burning oven straight to the plate. It has a light, chewy yet crispy crust, savory garlic and basil scents, a soft richness from homemade mozzarella and a mix of sweet and spicy from housemade sausage and delectable peppers. A number of small plates and family-sized dishes make the restaurant perfect for any situation, whether you wish for a personal plate or dishes to share with friends. Other items on the menu include several salads, pastas and other entrees. The restaurant’s location right in the heart of the Museum District gives students the opportunity to explore the educational resources of Richmond, as for example student groups would have the convenient chance to tour the Virginia Museum of Fine Arts or the Byrd Theatre before grabbing a bite at the pizza parlor. Reservations for 20 guests and even larger groups can be made on their website. Anokha Cuisine of India. Credit. 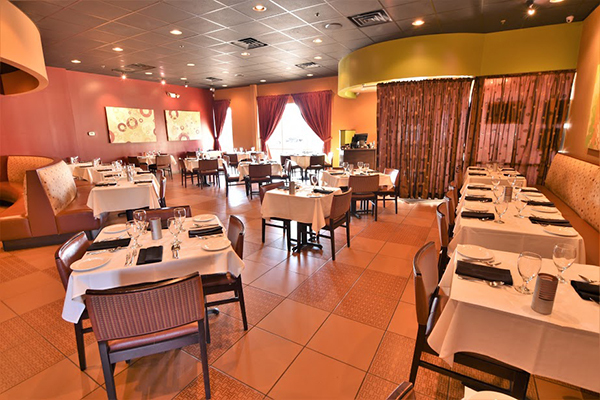 Anokha Cuisine of India just 20 minutes northwest of downtown Richmond gives students the chance to experience authentic Indian cuisine in a relaxed setting. The restaurant’s location provides students with the chance to get a little shopping done in the Short-Pump Town Center, an outdoor mall, before settling down for a warm meal. Also, the restaurant is nationally acclaimed and well-known for its delectable dishes, as it was named by Richmond Magazine as the 2012 Best Indian Restaurant and by Style Weekly as the 2013 Best Indian Restaurant. Anokha, meaning “unique,” combines the styles of real Indian cooking techniques with western methods. The relaxed and hospitable nature of the restaurant lets all customers enjoy a quiet, delicious meal in the contemporary dining room or their relaxing lounge. The expansive and creative menu presents several vegetarian, seafood, poultry and lamb/goat dinner options, including tandoori, masala and curry dishes. With several appetizing choices to pick from, Anokha also promises affordable meals that accommodate student group budgets, and reservations are available for large groups. Situated approximately 25 minutes from the Richmond International Airport (RIC), Mi Hacienda serves as the ideal fit for students looking for a flavorful Mexican option. Since its inception in 1997, the restaurant has aimed to bring traditional and genuine dishes from Mexico using customary recipes that use garden-fresh ingredients. Their affordable menu highlights some local fan favorites, including the cheese steak burrito, regular and seafood chimichangas and arroz con pollo, along with various Mexican street-style food and traditional plates. Just a few common dishes are burritos, tacos, tamales, enchiladas and quesadillas. With a diverse selection to choose from, students will not be disappointed. Birthday parties, weddings and luncheons can also be held on the premise in an indoor reception room that can hold 300 guests, or on the outdoor patio. Reservations for up to 30 can be made for regular dining, and the banquet hall can be booked for larger events. Finally, to round off a day filled with enjoyable tours and long practices, Wong Gonzalez is the perfect fit for students who cannot decide between a taco or fried rice. This Latin-Asian fusion restaurant allows customers to experience a fresh, innovative ambiance that mixes two distinct, mouthwatering cuisines. General Manager Jeff Myers and Assistant Manager Aaron Warguleski work with their team to spread the fusion of Mexican flavors with a flavorful pan-Asian addition to their customers. The combination of cuisines from the busy food stalls of Malaysia to the bustling restaurants of South East Asia has led to the creation of an inventive and delicious menu. Some items on the menu are the vegan Mexicanese sautee, Korean baby back ribs, loco wings, spicy chorizo fried rice, summer ensalada, tacos and burritos. The inexpensive dishes also offer vegetarian and vegan options to oblige customers’ dietary restrictions. Also, Wong Gonzalez gives guests the chance to experience fine private dining in the Beauty and Grace private room, which can accommodate up to 36 individuals seated. The restaurant accepts reservations of six or more guests, which can be made online.